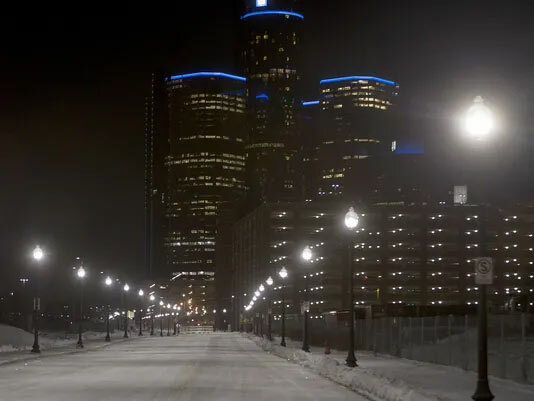 A $150-million effort to relight Metro Detroit freeways is almost done, with about 13,000 street lights converted to new, more energy efficient LED lights. 15,000 freeway lights in metro Detroit to be replaced with LED bulbs in MDOT partnership. Detroit — The Michigan Department of Transportation (MDOT) will enter a public-private partnership (P3) agreement to upgrade and maintain freeway lights in Detroit's tri-county area. The country's first P3 dedicated to freeway lighting was approved by the State Administrative Board. The first freeway lighting system public-private-partnership (P3) in the U.S. closed on August 24, 2015, with the Michigan Department of Transportation (MDOT) and Freeway Lighting Partners, LLC, (FLP) reaching simultaneous commercial and financial close.